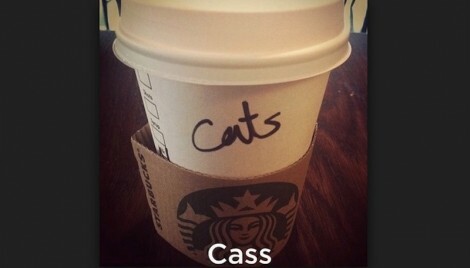 Maybe Cass looked like a crazy cat lady, so she would go into Starbucks and order a drink for her cats? That is all I can think of! Again, don’t sound out the name and then spell it out. Also, come on now people! 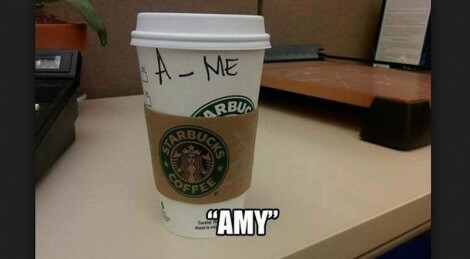 It is three letters long and how can someone screw up Amy?? ?